This was the third year I attended the Quilt and Sewing Fest of New Jersey (formerly known as Quiltfest of NJ) - here's my post from last year, when our guild had an exhibit. It's exciting that such an event exists so close to home. 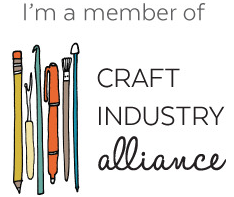 This year, I attended with my mom (you heard she's starting her first quilt, right?!) 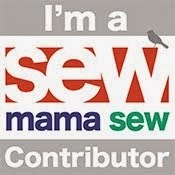 and my new local sewing friend Jenelle (@trashn2tees). First off, I finally met my longtime bloggy friend (and fellow Modern by the Yard pattern designer) Chris (@madebychrissied)! 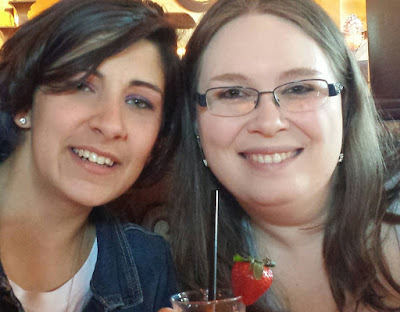 We've been chatting for four or five years and it was beyond fantastic to actually talk to her in person. Hopefully we'll have a sewing day soon! We live closer than I thought! Jenelle and I enjoying a great dinner afterwards! I was pleased to see so many modern quilts in both the general and special exhibits, including some from my own guild members! 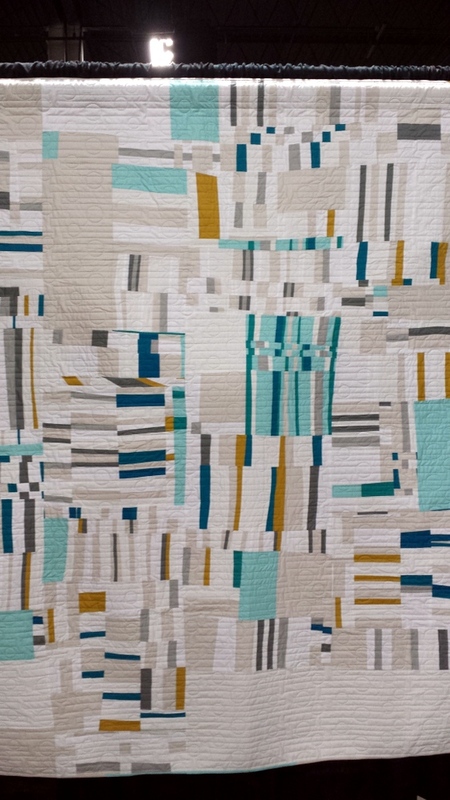 Go Central Jersey Modern Quilt Guild! My Autumn Wind quilt hanging in the Rock Paper Scissors booth for my upcoming class! 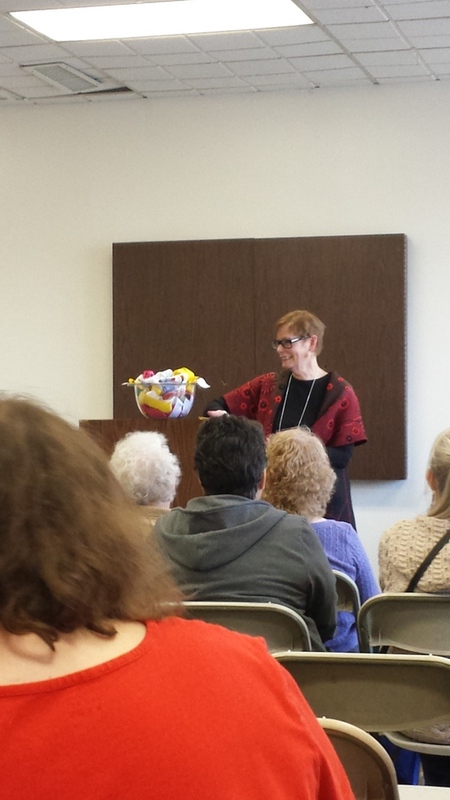 I attended a lecture by my lovely friend/fellow guild member/nationally renowned public speaker Meg Cox (@meg4quilts). 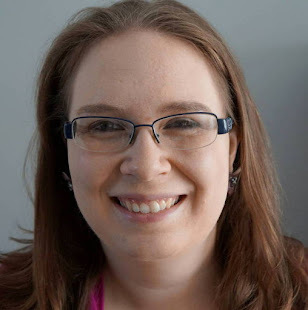 She gave us tips, ideas, and inspiration for creating rituals and traditions with quilters and nonquilters. My head is spinning with all the inspiring stories she told us! I love watched Meg speak because you can tell how much of a genuine person she is. Well done, Meg! I also combed through the special exhibits presented by our sister guilds, the North Jersey MQG and Jersey Shore MQG. It was great to see more modern and modern traditional work represented overall (compared to past years), and I love ogling at the traditional quilts too (especially the intense quilting - wow!). Any quilt is a friend to me! Unfortunately, I didn't take many pictures - here are just a couple more of my favorites. 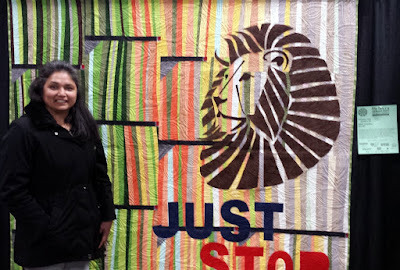 NJMQG charity quilt - blocks made by members, design and piecing by Daniela Di Iorio (@danieladiiorio), quilted by Krishma Patel - I was at their meeting when they gave out the fabric to members. It's been fun to see this quilt come to life! I'm curious: What are your favorite quilt shows to attend? P.S. I did purchase a couple of things... I'll share in a Sunday Stash post soon! Jess, Looks like you had a great time! I was there on Sunday and the quilts were really great. Loved all the modern quilts - some were amazing. But I also really enjoyed the traditional stuff! 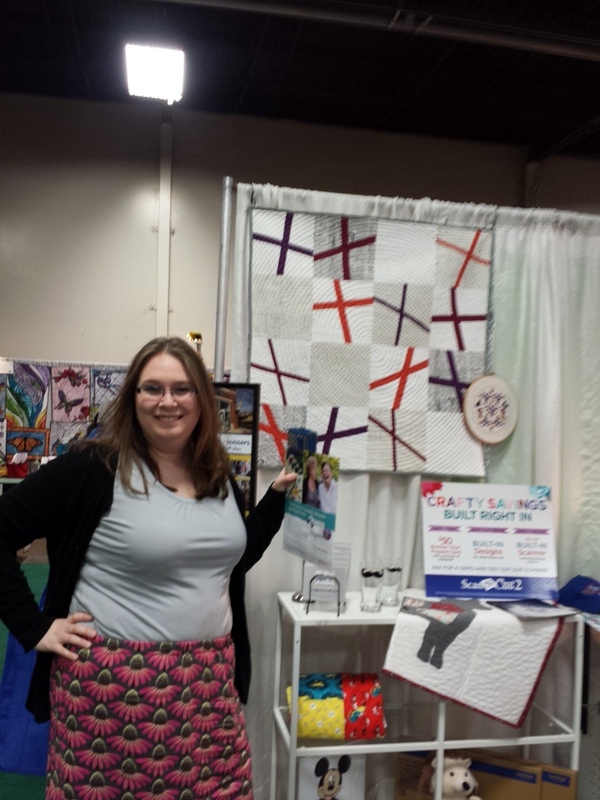 One of my favorite shows to go to is the AQS show in Lancaster, PA. That is coming up the end of next week! My girlfriend and I have been going to that show since it started and even to the show in Lancaster before that one! It is our yearly pilgrimage for the past 25 year. 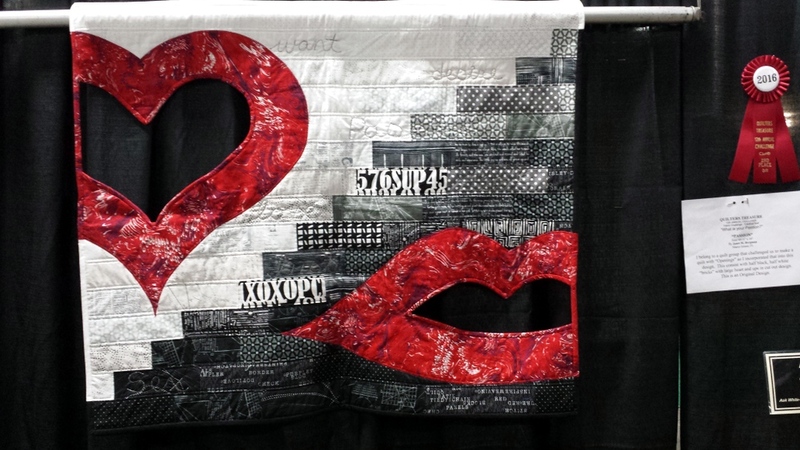 But I must admit the best show I have ever been to was the International Quilt Show in Houston, TX. I had so much for getting a chance to spend some time with you and your mom. It's really an honor to take in so many amazing works at once- even if they're not my aesthetic or style. Like I mentioned in my post, I felt a little like Goldilocks looking for the ones that were juuuuuuuust right. 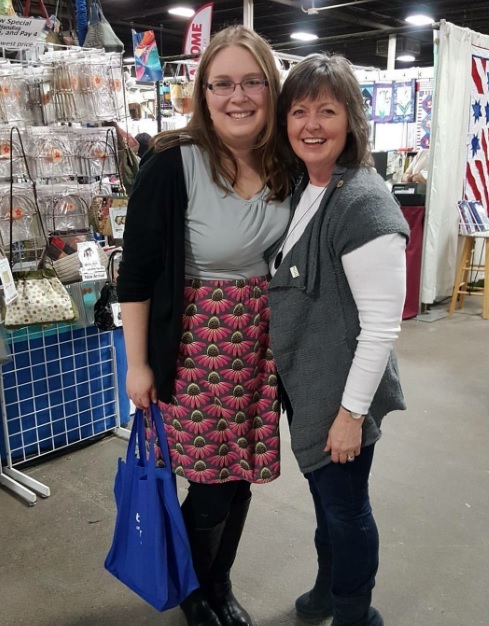 I'm leaning towards making the pilgrimage to Quilt Market this year- Spring is coming up fast but if not then I need to be a Fall. I'm like you. 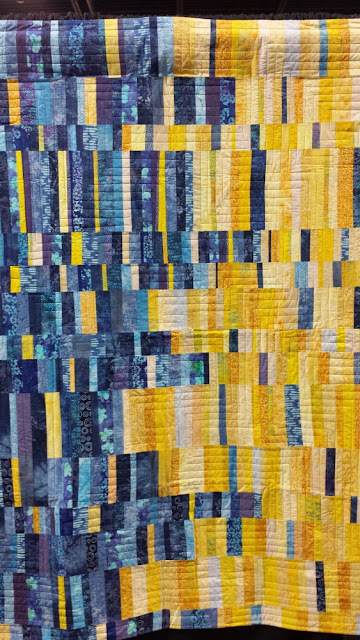 Nothing can ever come close to QuiltCon. I've only been to one. 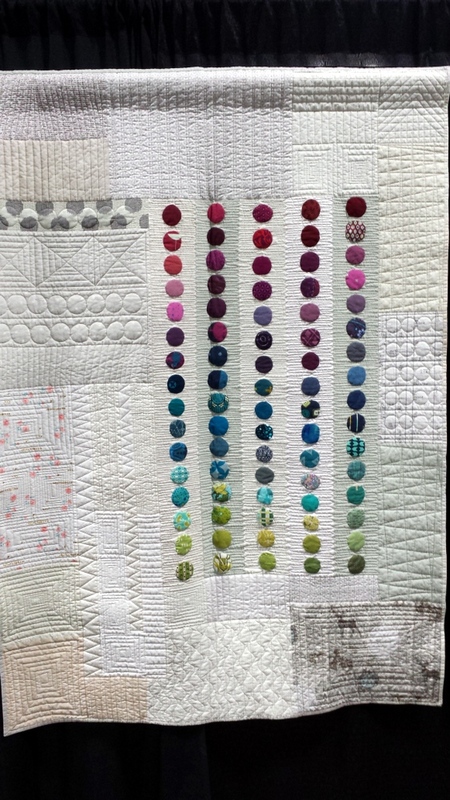 I hope to get to QuiltCon 2017. But yes, amazing quilts. 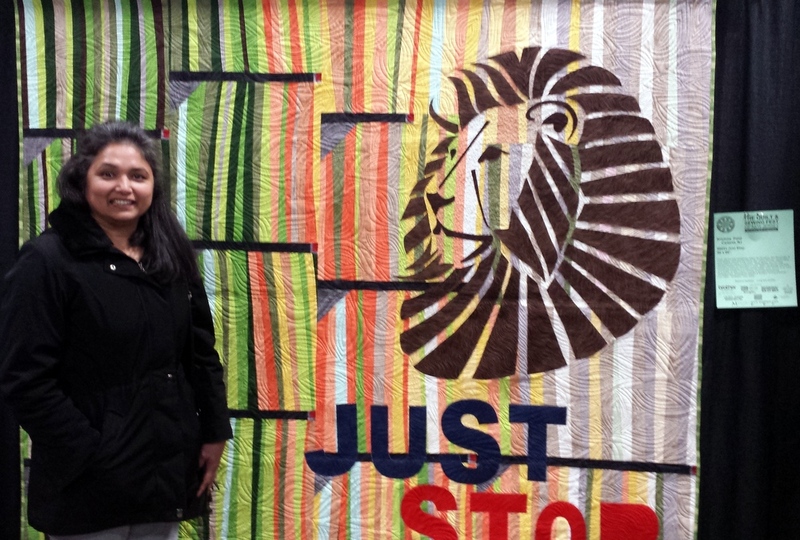 And man, your friend Krishma Patel can quilt!!! 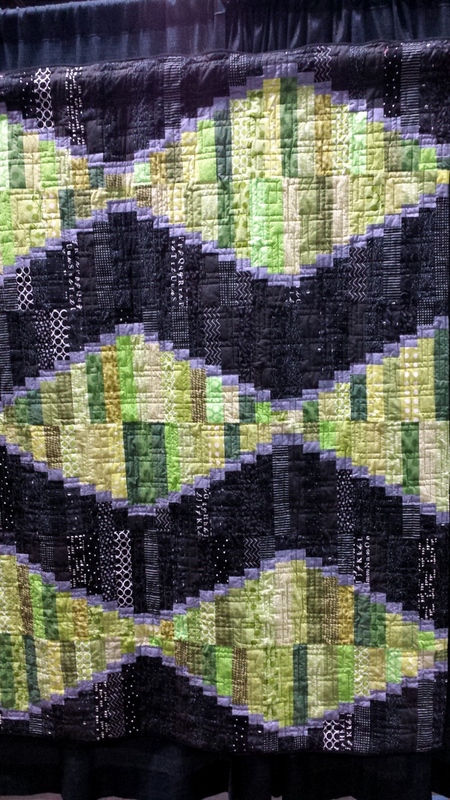 Love that aerial grove quilting! 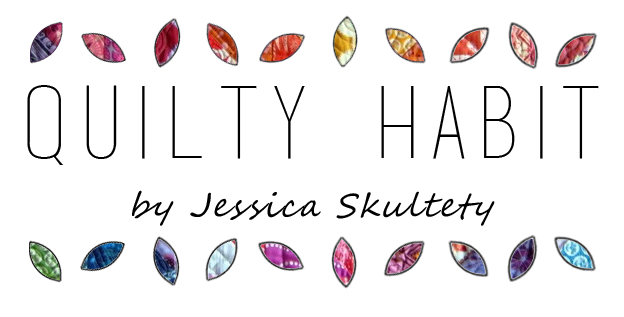 Thanks Jessica, I'm flattered! It was nice meeting you on Sunday.